**Registration begins at 6:30pm. Meeting to start promptly at 7:00pm. A cash bar will be available and members are encouraged to stay after the meeting to meet and mingle until 9:00pm. Members are expected to bring a cheque for $100 to each meeting. Please do not fill anything in the "Payee" line of the cheque as the recipient will be decided at our meeting. Cheques will always be dated on the same date as the meetings. Charity Nomination Forms for this meeting must be submitted to the Executive by May 20th. We have introduced the "Proxy Ballot" for those women who are unable to attend a meeting. You can give another member authority to vote on your behalf as long as they present the Proxy Ballot form AND a cheque for $100 on your behalf. Click here to download the Proxy Ballot. 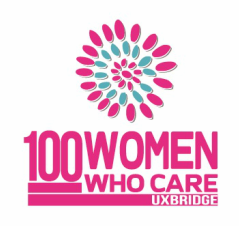 All Charity Nomination Forms must be submitted to info@100womenuxbridge.com or printed and mailed to 100 Women Who Care c/o 67 Brock Street West PO Box 1132 Uxbridge, ON L9P 1N4. Any members who have signed a Membership Commitment Form may submit, complete and return a Charity Nomination Form to nominate an organization for consideration at a meeting. These Charity Nomination Forms must be received by the Executive 15 days before the scheduled meeting. Nominations received after that time will be considered for the next scheduled meeting if the nominating Member is still an active, voting member and is present at the meeting. What other sources of funding does the organization have? Describe your personal interactions with the organization or how you learned of the organization? Click here to download the Charity Nomination Form. Click here for a list of Charitable Organizations in Durham.